A month or so ago, I got a couple delicious teas from a vendor I was sharing a room with at an event. But I haven't used them yet. While the teas are delicious, I can't stand dirt in my drinks. So far, every tea strainer I've tried using to make my wonderful hot tea, has left tea crumbs in my cup. This makes me very sad. For the holidays, I would LOVE an extra fine tea strainer, like this one claims to be. If you're a tea drinker, please let me know your secrets. I've heard I could also use a coffee filter for an additional straining, or a cold-press coffee maker (to be used for nothing but my tea, of course). I have a beautiful teapot (which is seldom used, but I grew up seeing one on the stove, so I keep one there now...), but I need something to keep the dirt out of my tea. Help! 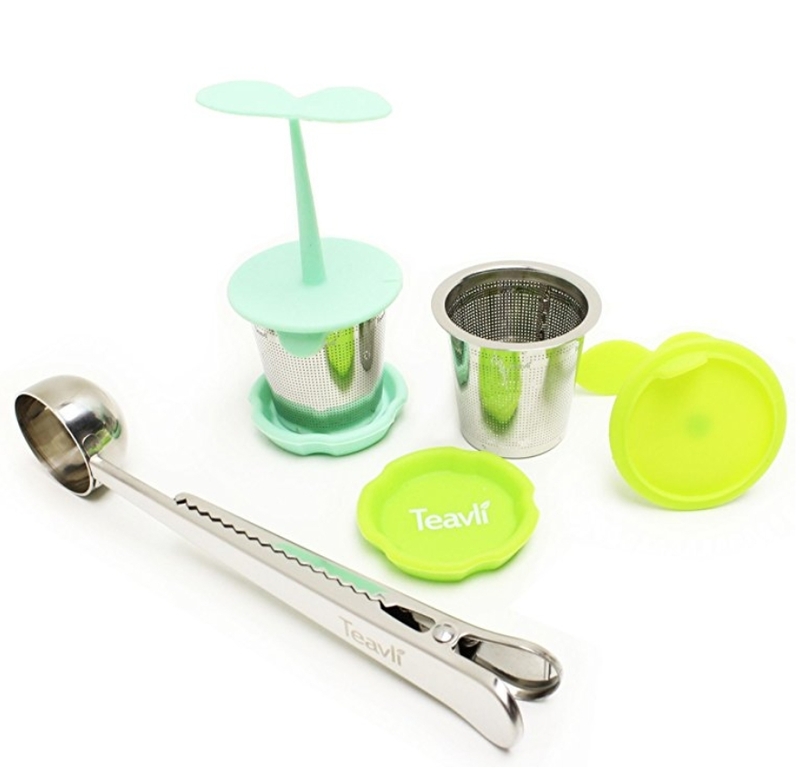 I haven't had any luck yet finding a great tea strainer, but I love to use loose leaf tea. You can get so many more varieties that way. I use tea bags - I so wanted a cool strainer and tried more than I care to think about but finally broke down and bought the bags - not as fancy but a lot cleaner!